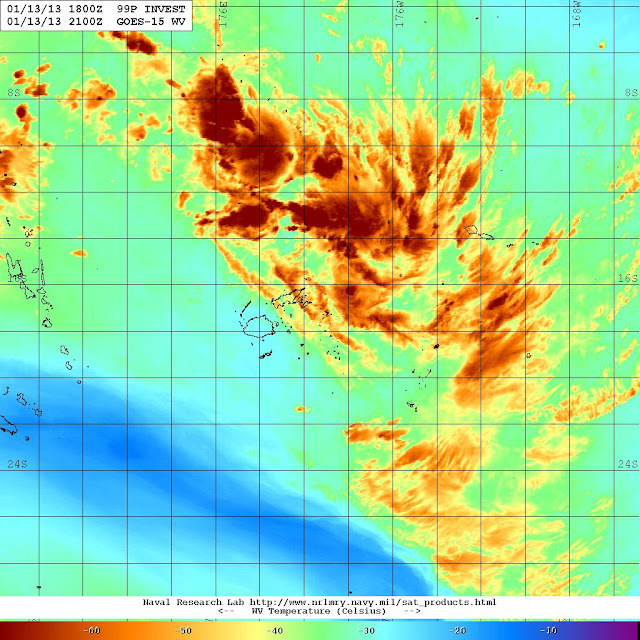 Sailing Adventures of David & Kathy: Tropical depression headed for Tonga on Tuesday? Tropical depression headed for Tonga on Tuesday? We've been closely watching the development of 99P INVEST Fiji Met Service shows the storm tracking well to the South of American Samoa.